I guess since we have discussed CDs, vinyl, cassettes and downloaded music files about the only thing we have left is to discuss the packaging. My negative feelings about jewel cases are based on the following: they take up too dang much room. Excluding the case itself, one can get four CDs and their inserts into the same space. Also, about 20% of them arrive so that the center spokes are broken out or the hinges are damaged. As time goes forward, it's only downhill for thiem. I'm slowly replacing all my jewel cases with two pocket polyethylene bags. In doing so, I am reclaiming enormous amounts of storage space that I need. Since all the files are on the music server, I don't really need rapid access to the CD itself. Hence they are being stored in bags. Anyone need about 5000 jewel cases? Can anyone think of what to do with this mountain of plastic? Also I have noticed that recent CDs are approximately 50-50 jewel cases vs other forms of packaging such as digipacks and slim sleeves made of plastic or cardboard. The older music is my collection consists of about 80-90% jewel cases. I find jewel cases to be handy because the artist's name and album title are printed on the spine (usually). Having said that, I definitely prefer the thin ones. But you're right, you definitely are saving some space there. We're doing something similar at the radio station. We're backing up all of our CD's onto hard drives for archival purposes, then eliminating the jewel boxes where possible and using the plastic sleeves. However, we put them in small cardboard boxes that can be labeled and put on shelves for easy categorization. Still a bit difficult to find the one you're looking for quickly, but at least there's some organization. This is a direction we considered going with Hypnos packaging, and while some people seemed to like it, we heard from enough people who didn't like it that we reconsidered and went with digipaks instead. I do agree, as a music listener and collector, that being able to read the artist and title on the spine is nice. I don't have any problem with jewel cases, except one : their weight increases shipping prices in mailorders. So I always try to get my CDs sent without jewel cases. And when I sell parts of my collection on Discogs, I mostly send without jewel cases, so I have enough replacement cases. I particularly like the cases with the transparent plastic, where you see the inside of the back artwork. I don't like the "old style" with the black opaque plastic though. 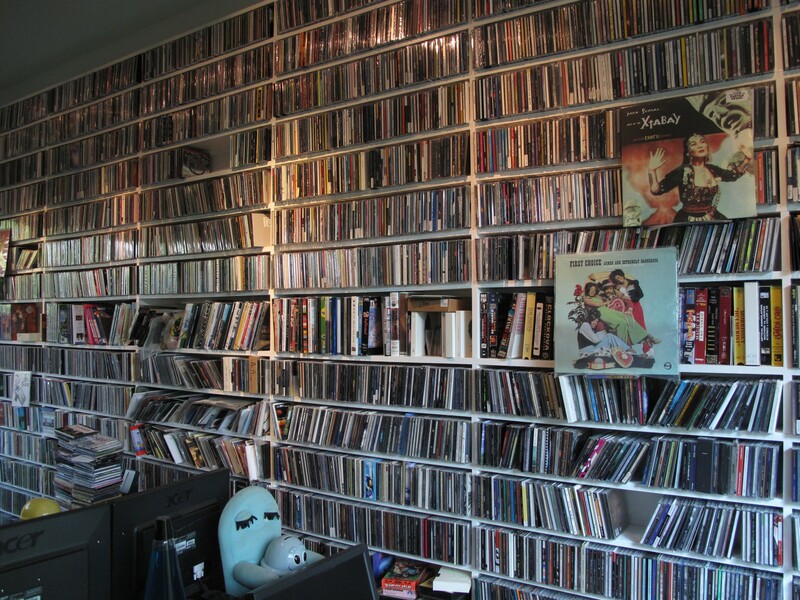 It's true that with the cases, CDs tend to take quite a lot of space, especially if your collection grows and grows. But puting them into bags.... meeeeh, I can't imagine that for my collection. For me that would be nearly as bad as a download release.... this may sound esoteric, but much of the charme would be lost. Jim - PM'd you. I need some cases. About the only good thing I can say about the plastic jewel case is that when you leave your front seat passenger car window open with cd's sitting there and it rains, ones digipacks dont fair so well. Happened a few times. Nice continuation on the other threads Jim! Not a fan of any plastic, not just for environmental reasons. lots of my jewel case hinges have broken which is easy to fix with more plastic. Dont drop a jewel case on a tile floor or any hard floor. After some use the jewel case can take on the appearance of an ice skating ring. On the upside, they are cheaper to manufacture....though the cost difference between a digi and a jewel case has recently become considerably less. For me the ultimate release format is the Digipack. All areas of artwork are better represented....a number of cover finishes are available from matte, semi gloss to gloss. Booklets et el are more accessible than jewel cases. Ive broken many jewel cases over the years trying to get the cd liner cards out of the cases. In some ways the digipack is closer to a book format, or I should say book quality. Theres a tactile feeling in the digi thats totally lacking in a plastic cd jewel case. Mostly digipacks are recycled material! My new one on Projekt is in a 4-panel ecowallet (no plastic), with a matte finish. I think this is part of Projekt's move away from the traditional jewel box. Digipacks are nice, too, but you have to be careful not to ding them. If my mail order CD's have broken Jewel Cases/center spokes I just put the CD & liner notes in a new case. Maybe Goodwill or some other organization can recycle some of your many cases after other have taken what they want! 1. Many of the CD-Rs are turning gold-colored with time. 2. 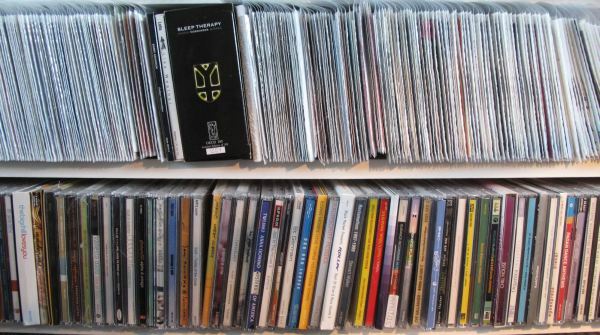 More and more artists are using thin, but gatefold paper sleeves on their CDs. ...in case you are interested. 1. "Bronzing," a type of CD-R rot is probably going on. Keep Transferring! 2 & 3 can't comment. This being Austin, music is king. I've been able to sell all over 3000 jewel cases so far to musicians and music re-sellers. This case-to-bag transition has been the best thing that has happened to my music besides the introduction of the music server. Overall, quite a positive experience. Having provided art for this lovely disc (and a few others in the format) I must say it's a favourite! Though the ultimate hybrid is the Japanese edition of "Ocean Fire" by Willits/Sakamoto. It's like an ecowallet/digipak with a normal spine width and a flawless and secure way of holding the disc in place that I've never seen elsewhere. The issue of archival survival is rarely addressed. I fear my recent Darla discs using the recycled board for artwork will not fare well. Mind you, some old jewel cases are made of dodgy plastics and in one case, a CMP jazz disc's white plastic tray went yellow and affected the paper stock! There's no question in my mind after handling and examining thousands of jewel cases and many, many digipacks and sleeves. Hands down the jewel cases lose in the aesthetics department. I think the look and feel of digipacks and sleeves is markedly superior to the one-size-fits-all approach of most jewel cases. I have a very different reaction to digipacks and sleeves. Many are quite lovely. There are exceptions. I have some very unusual, one-of-a-kind jewel case works of art, but on the average, jewel cases lose. Frankly as I continue to trudge through the ripping process and eliminate all my jewel cases, I am amazed at some of the complex digipack presentations that fairly unknown artists are able to swing. Is this more archaeological than anything? Are these elaborate 4-panel fold-out digipacks now out of reach? How can a relatively obscure artist afford this gatefold digipack presentation? Probably could only afford it once. And now has 950 copies stacked in his basement. I almost thought about hitting the "report to moderator" link. Of all the folks on here, I would wager that I have purchased more physical product. I'm drowning in it over here. That's the reason that I now prefer files. I just can't physically store any more CDs or vinyl or cassettes or 8-track tapes.